Landscape architect Phoebe Lickwar MLA 06 designs projects that synthesize the history, culture and ecology of the spaces in which they’re built. Before pulling up stakes in preparation for a move to Austin, TX later this summer, landscape architect Phoebe Lickwar MLA 06 and her team at FORGE in Fayetteville, AR completed two winning landscape installations that synthesize the history, culture and ecology of the spaces in which they’re built. Into the Woods! 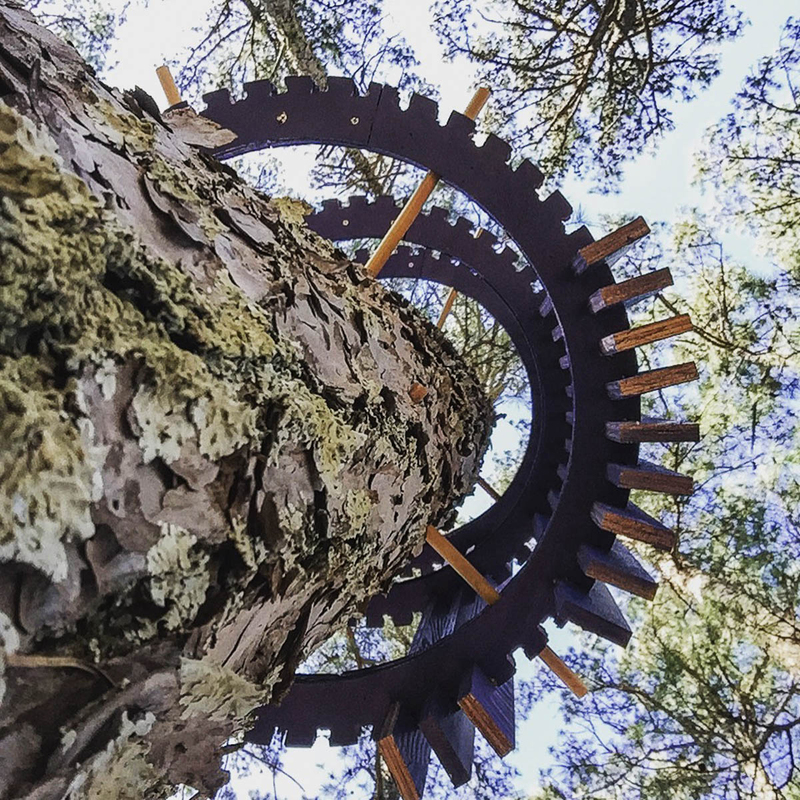 won this year’s competition at the International Garden Festival at Chaumont-sur-Loire in France, and Visible Invisible was selected for Art in its Natural State, a juried exhibition at the Winthrop Rockefeller Institute—part of the University of Arkansas (UA), where Lickwar has been teaching since 2012. Into the Woods! features a secondary path system built of wood beams charred and preserved with the shou sugi ban technique. Lickwar worked closely with Matt Donham, founder of NYC-based landscape architecture firm RAFT, to conceive, design and build Into the Woods. The two met years ago at PWP Landscape Architecture in Berkeley, CA when they were working on the 9/11 Memorial in NYC. Donham has taught at RISD as a visiting professor in Landscape Architecture—a shared connection that Lickwar considers significant. The idea behind the Chaumont-sur-Loire project came from The Garden of Forking Paths, a magical realist short story by Argentinian author Jorge Luis Borges about a labyrinthine garden in which visitors get lost in space and time. 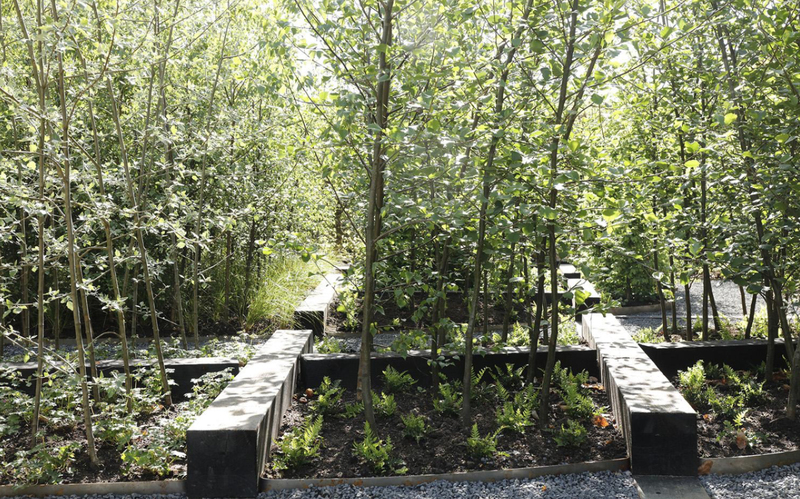 To create their labyrinth, Lickwar and Donham used closely set juvenile trees typically used for reforestation and renewable energy production intersected with blackened wood beams charred and preserved through the Japanese technique of shou sugi ban (which added an exciting new learning opportunity to the process). Visible Invisible uses tree cloaks to indicate the size these short-leaf pines will reach before they’re suitable for nesting red cockaded woodpeckers. 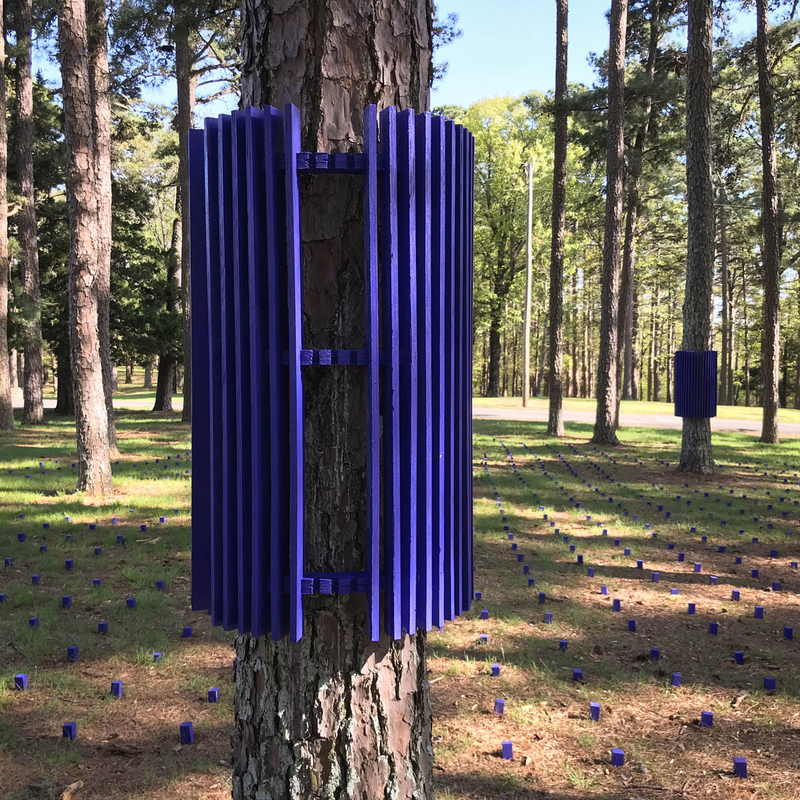 For the installation at the Rockefeller Institute, Lickwar and project partner Laura Terry—a colleague at UA—worked with an existing grove of shortleaf pine trees (Pinus echinata) planted by then-Governor Rockefeller in the 1950s. “We were interested in the idea of a sacred grove— a landscape intentionally planted and cared for by humans as a culturally significant place,” Lickwar says. Visible Invisible uses bright blue tree cloaks to indicate the circumference the trunks will achieve at maturity as well as blue markers embedded in the ground to delineate the trees’ root structure. Another view of the tree cloaks created for this award-winning project. Victims of human trafficking in Louisville, KY are benefiting from life-changing opportunities made possible through an innovative startup called Anchal. Ian Quate MLA 11 is helping to redefine landscape architecture through an interdisciplinary research project focused on cleaning up Brooklyn’s Gowanus Canal.